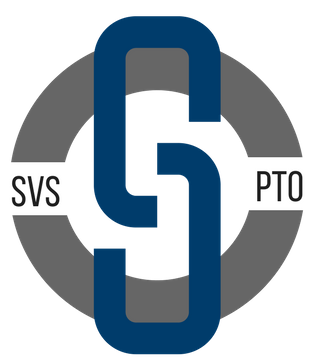 The SVS PTO’s goal is to award over grants to support student activities, clubs and events. Funds are raised through a combination of monetary donations and fundraising events. Many thanks to SVS Parents and guardians who support the efforts of our PTO. Monetary donations can be made via check payable to SVS PTO or via credit card. If sending a check please mail to: SVS PTO c/o Shepaug Valley School, 159 South Street, Washington, CT 06793. If you prefer to use a credit card please click the “donate” button and you will be taken to the PayPal credit card processing page. All monetary donations are tax deductible and will be acknowledged with a letter indicating our 501c3 status. The SVS Family Directory is a great resource for families that want to communicate with each other outside of school. A limited number of directories are available for $5. Click here to request a directory. The SVS PTO is excited to announce the first annual “Taste of the Region” Wine Tasting Fundraiser and Community Get Together. This event is designed to bring Region 12 parents, guardians, and educators together to celebrate the start of the 2018/19 school year. In addition to wine tasting, we will have live music performed by Tom Scarola; light snacks catered by area chefs, restaurants, and shops; an opportunity for everyone to meet our new Superintendent, Megan Bennett and a few other surprises. The SVS PTO will be distributing gift catalogues from the Yankee Candle Company. Additional details to be announced. Click here for details, a full color catalog, and order form. Stop before you shop for holiday gift cards! Purchase your gift cards through the SVS PTO and a portion of your purchase is given back. Gift cards from over 100 retailers are available and will be delivered to you before the holiday. Click here for the details. Join us in bringing together SVS parents, guardians and educators in a social event each season. Once again, we will partner with the Sherman PTO to bring this exciting event to our community. Additional details to be announced. Enjoy pizza, snacks and beverages while watching the SVS Varsity Boys and Girls Basketball teams play at home games. Preserve your student's memories by purchasing a frame for their Senior collage. Additional details to be announced. New for the 2017/18 school year. Parents and guardians can now shop for their own Shepaug apparel and merchandise. Click here to visit the on-line store. The SVS Business Directory is a new resource for the SVS community. If interested in placing an ad in the directory click here for more information. The SVS PTO will be participating in Stop & Shop rewards. A+ School Rewards are points that supporters earn with each purchase made using their Stop & Shop Card. At the end of each month, the points earned are used in a calculation to determine your school’s cash total, which is then automatically credited to our school’s account. To register for Stop & Shop A+ Rewards click here and enter our school ID #11209. Check back for updates or follow us @shepaugvalleypto on Facebook.